Data flow rates continue to climb as expected.It is long since sufficient for most users globally and that is what really matters. Just think it is plausibly possible to message almost everyone on this globe in a couple of minutes. That does not mean we are doing it but it is plausible. As posted in the past we are heading for the Holodec. This rapid improvement in flow is making that all possible. 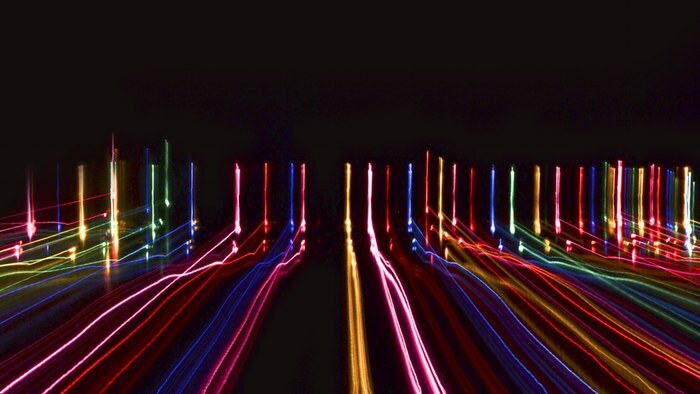 At a blistering 1.125 terabytes per second, a new optical communication system developed by University College London (UCL) researchers has created a new record for the fastest ever data transfer rate for digital information. At the quoted rate, say the researchers, the entire HD series of the TV show Game of Thrones could be downloaded in less than one second. To help achieve these incredibly fast transfer rates, the researchers took recent developments from the realm of information theory in regard to the maximum amount of information that can be transmitted being limited by the finite signal-to-noise ratio (SNR), and applied advanced digital signal processing techniques to optimize the SNR and maximize data throughput. In other words, the team determined the most efficient way to encode data in optical signals, taking into account the limitations of the transmitter and receiver. They then cleverly used noise reduction techniques normally found in wireless communications and applied them to optical transmission. In this way, the team was able to ensure that the transmitted signals were able to be minimally effected by distortions in the system electronics. 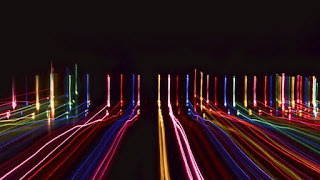 "While current state-of-the-art commercial optical transmission systems are capable of receiving single channel data rates of up to 100 gigabits per second, we are working with sophisticated equipment in our lab to design the next generation core networking and communications systems that can handle data signals at rates in excess of 1 terabit per second," said Lead researcher, Dr Robert Maher, of UCL Electronic & Electrical Engineering. "For comparison this is almost 50,000 times greater than the average speed of a UK broadband connection of 24 megabits per second, which is the current speed defining "superfast" broadband." Building on previous work, where the team transmitted optical signals over a world-record 5,890 km (3,660 mi) error-free, the new system employs a total of fifteen separate data transmission channels, with each carrying an encoded optical signal of different wavelengths. Modulated using the 256QAM format normally employed in cable modems, the 15 signals were combined and then sent to a single optical receiver for detection. In this way, by arraying the transmission channels, the researchers created a "super-channel" that they believe may form the basis for future high-capacity communication systems. "Using high-bandwidth super-receivers enables us to receive an entire super-channel in one go," said Dr Maher. "Super-channels are becoming increasingly important for core optical communications systems, which transfer bulk data flows between large cities, countries or even continents. However, using a single receiver varies the levels of performance of each optical sub-channel so we had to finely optimize both the modulation format and code rate for each optical channel individually to maximize the net information data rate. This ultimately resulted in us achieving the greatest information rate ever recorded using a single receiver." Though initial research has been conducted with the transmitter feeding directly to the receiver in order to realize the maximum data transfer rate, the team now intends to run the system with long cable lengths. In this way, performance tests will be conducted to measure the achievable data rates over long distances where distortion is introduced by the optical cables themselves. The results of this research were recently published in the Nature journal Scientific Reports.